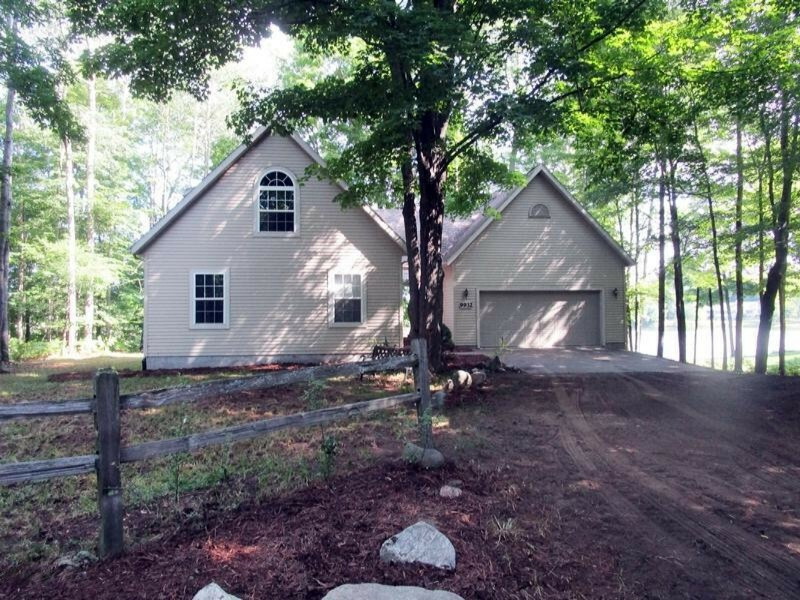 Super Cute Chalet on Fawn Lake in the Canadian Lakes community - West Central Michigan. This 3 bedroom, 2 bath walk-out lake front home is a perfect "up north" home. With over 2000 sf of living space and a lower level that is prepped for finishes, this is a great buy. Two car detached garage, 100 feet of water frontage on Fawn Lake where you can swim and fish. Wood flooring, ceramic tile, large open great room, dining and kitchen. Beautiful finishes with that up north theme you will love. Nice fireplace in the great room. Open loft overlooking the great room has built-in bookcases. Upper bedroom has built-in dressers. Wide staircase. Care free yard. Lakes, golf, fitness center, restaurants and more in this wonderful active community!